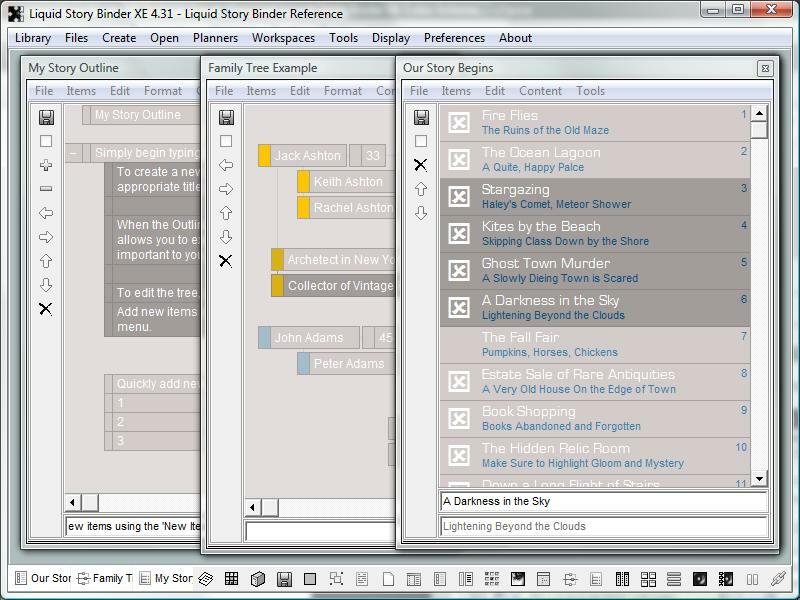 Liquid Story Binder XE allows you to easily create your own custom color schemes. 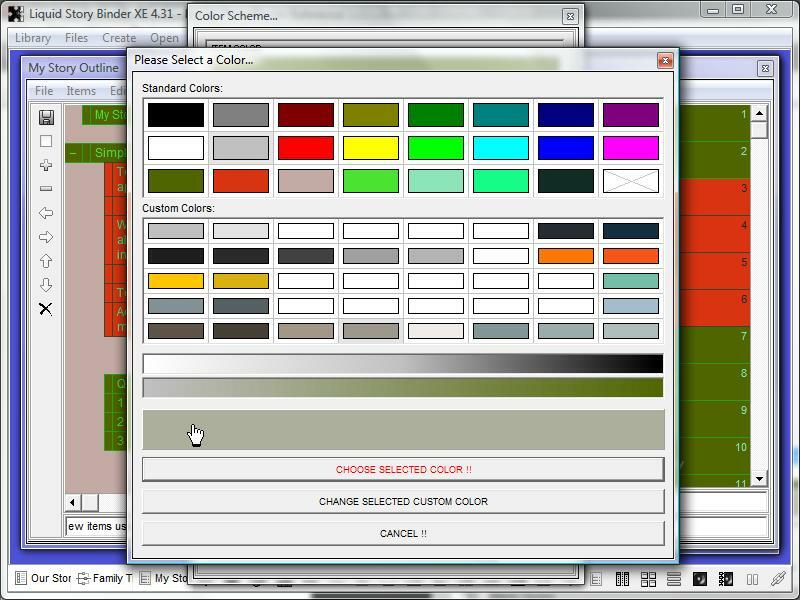 When creating a new Color Scheme, start by opening various applicable windows such as a Checklist or Timeline. Also, make item selections within those windows to compare selection and non-selection colors. From the 'Display' menu, choose 'Color Scheme'. 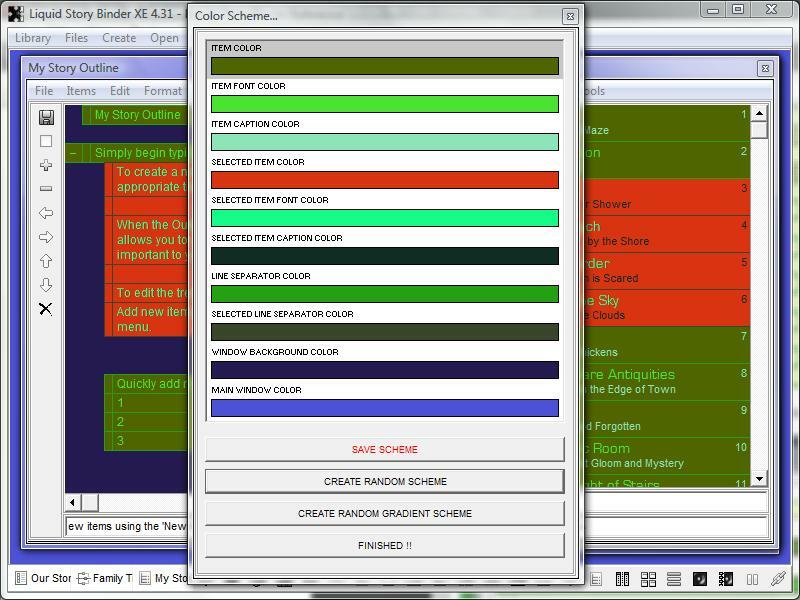 The 'Color Scheme' dialog will open allowing you to pick and choose colors best fitting your particular style or mood. The Color Scheme dialog will open. 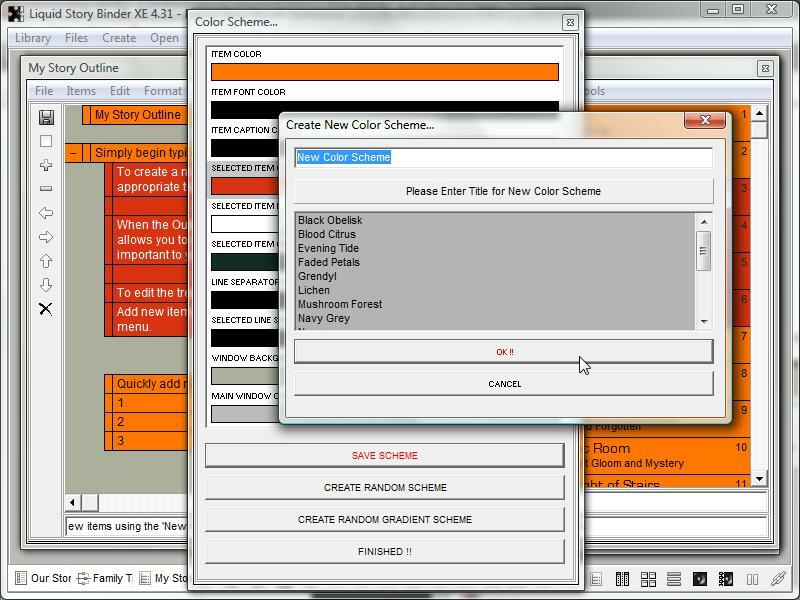 Try clicking either the 'Create Random Scheme' or 'Create Random Gradient Scheme' buttons. Refine any given color component by clicking that item within the list. The color choice dialog will open allowing you to pick from a standard selection of colors or custom saved colors. Click the color selection box to pick an entirely new color or refine your current color choice by changing brightness or saturation. Repeat this process for each color component. Once you've perfected your color scheme. Make sure to the save it for later use. Click the 'Save Scheme' button. Enter a descriptive title and click 'OK !!'. Your custom color scheme will now be listed under the 'Display' menu. 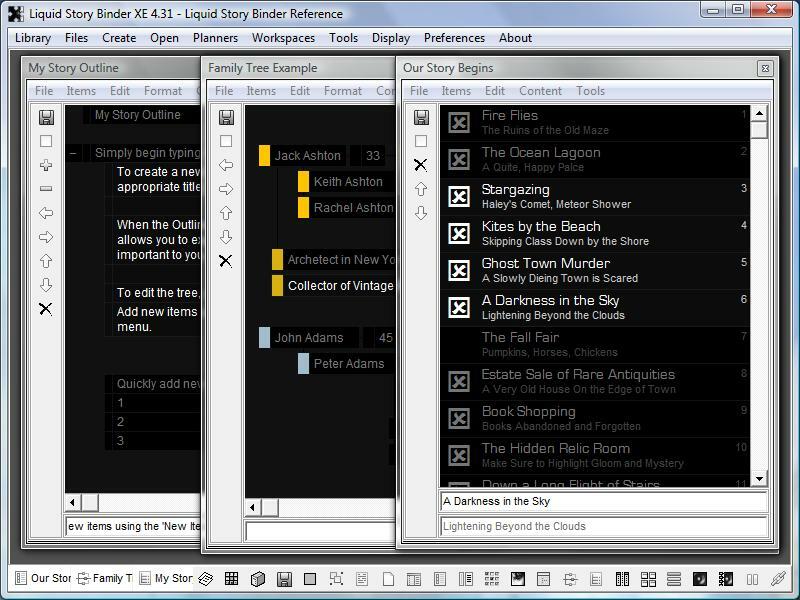 Liquid Story Binder XE allows you to easily change how your environment is displayed. 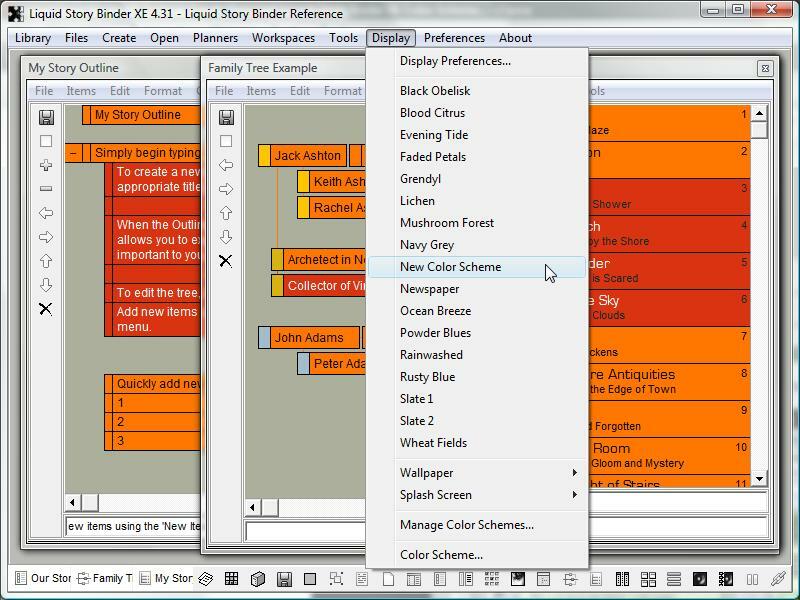 There is no limit to the variety of colors you can choose to display your favorite file types. 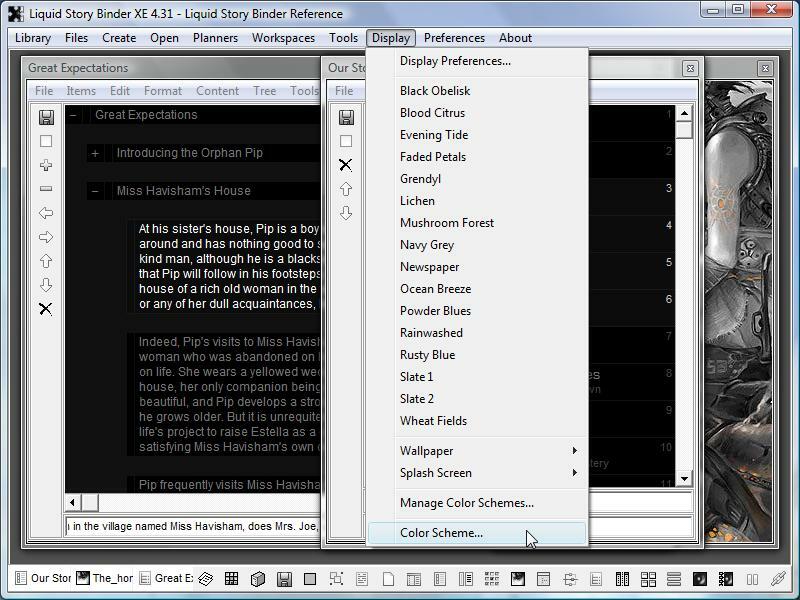 Color schemes effect file types differently. Switch schemes for ease of use. Also, try creating color schemes that will purposefully effect your writing mood.